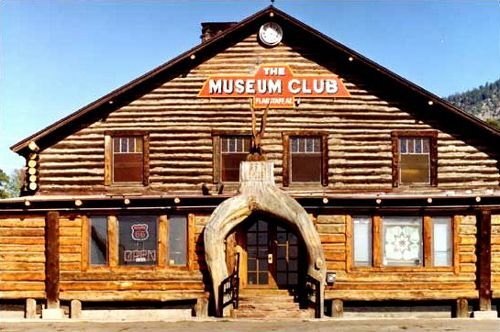 The Museum Club, a Route 66 icon in Flagstaff, Arizona, began its life as the boyhood dream of taxidermist Dean Eldredge in 1931. When Eldredge found a petrified frog as a child in Wisconsin, it spurred a lifetime as a sportsman, adventurer and collector. Dean began his taxidermy business in 1918. 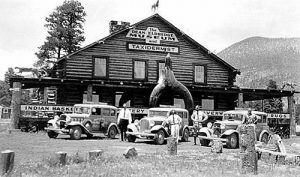 In the early 1930s Eldredge saw an opportunity when he purchased a piece of federal land, three miles east of Flagstaff on Route 66. 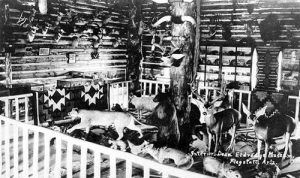 Soon, he hired unemployed lumberjacks to cut trees, haul them to his property and built what he touted as “the biggest log cabin in the world.” Later he would revise his claim to “the biggest log cabin in the nation,” then to “the biggest log cabin in Arizona.” In any case, he finally had a showplace for his lifetime collection of stuffed animals, six-legged sheep, Winchester rifles, Indian artifacts, two-headed calves, and more than 30,000 other items. Operating as a museum, taxidermist shop, and a trading post, scores of Route 66’ers stopped in to visit Dean and his collection during the five years that he operated the museum. Before long, locals dubbed the museum “The Zoo,” a name that has stuck with the building to this day. 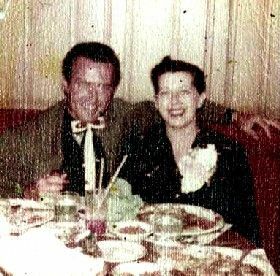 In 1963, Don Scott, a steel guitarist who’d spent time with Bob Wills’ Texas Playboys, bought the club and moved to Flagstaff along with his wife Thorna. Scott wasted no time turning the club into a country music dance hall and began to book old friends like Wills, and new ones, like Waylon Jennings and Willie Nelson. “Pappy,” as Scott was called by his friends, had many contacts in the music industry and before long he put the club “on the map” in the western swing circuit. Wynn Stewart, Wanda Jackson and the Texas Playboys were just a few of the acts which appeared at The Museum Club. Many aspiring recording stars, making the pilgrimage from Nashville to Las Vegas, would book into The Museum Club. Some, like Barbara Mandrell, simply showed up, grabbed a guitar and played impromptu. Living in an upstairs apartment in the building, both Don and Thorna Scott were active in running the successful club until 1973, when a tragedy ended Thorna’s life. After a long night, the couple had closed the club and Thorna headed up the stairs to retire for the evening, leaving Don behind on the first floor to finish up. However, before she reached the apartment she apparently tripped and fell from near the top of the stairs. Breaking her neck, Thorna lapsed into a coma and a few weeks later she died. Don Scott became terribly despondent after her death, suffering from constant memories of the event and loneliness. Unable to endure the pain any longer, Don took his own life in 1975 by killing himself with a rifle in front of the fireplace. In 1978 Martin and Stacie Zanzucchi bought the club, began extensive restorations, and added taxidermy mounts, antlers and period pieces to the club. Today, “The Zoo” continues to host the rising stars of country music and the new sounds of Nashville. Recent concert performers have included Asleep at the Wheel, Marty Brown, and the Clinton Category. Popular groups such as Mogollon, and Rednecks-The Band, play regularly at The Museum Club. Interestingly, the club not only hosts its many country western musicians and fans, but also the ghosts of former owners Don and Thorna Scott. Signs that Don and Thorna never left are evident to employees as well as guests. Footsteps and creaks are often heard coming from the upstairs floor where they once lived, lights have a habit of flickering on and off, chairs rock back and forth on their own, and fires have been lit in the hearth when no one is around. Thorna apparently makes her appearance at all hours of the day, often seen on the back stairway and the back bar where confused patrons sometimes mistake her for a bartender. She’s also been seen in dark corner booths too. Occasionally customers will buy her a drink only to find she has vanished when they return. One man, who lived in the upstairs apartment for a time, says he was pinned to the floor by a friendly female ghost. Evidently, Thorna has a sense of humor in her life beyond the living, as she stated to the man, while sitting on his chest, “You only need to fear the living.” Then the apparition disappeared. Wasting no time, the tenant broke through the upstairs window, ran across the roof and disappeared, never to return. One bartender, just starting her shift, was surprised to see the bar shelf disarrayed. Beer bottles were switched around, drink mixes were at the wrong end, and some liquor bottles had been knocked over. Because the bar area had been straightened up the night before, she had no choice but to blame it on the Scotts. Many guests of the establishment have taken pictures and videos where they report ghost like images appearing on the film. Recently, one employee of the Museum Club reports that though the power in the upstairs floor has been shut off, the lights have been coming on more and more often. Others have reported also seeing the lights from the street while driving by late at night. 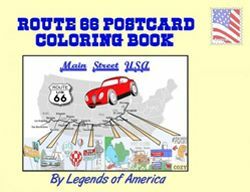 Once located on the outskirts of town, this old highway watering hole is a Route 66 throwback now surrounded by present day Flagstaff. Today, the Museum Club is a popular roadhouse and dance club, offering the best in live country western and after hours entertainment. Check out the great music at the Museum Club and while you’re there, keep your eye out for a ghost or two lurking in the background. 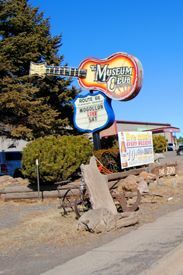 The Museum Club is 2 1/2 miles east of downtown Flagstaff on Route 66.